The move came after the home minister wrote to the chief minister, whose government had been dithering for months over acquiring the land, leading to a delay in construction of a fence along the international border, officials said. 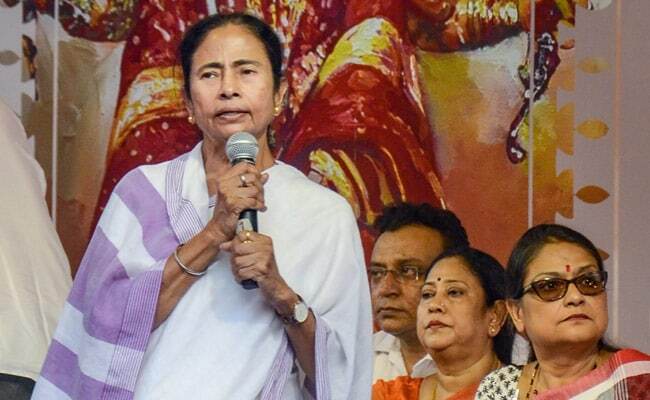 West Bengal Chief Minister Mamata Banerjee has agreed to Home Minister Rajnath Singh's request to acquire 300 acres of land in the state and give it to the Centre for constructing barbed wire fencing along the India-Bangladesh border, officials said Friday. Mr Singh's letter to Ms Banerjee, requesting her to acquire and hand over about 300 acres of land, has worked, a Home Ministry official privy to the development said. The home minister also directed officials to take up construction of an additional 13 ICPs -- Hili, Jaigaon, Ghojadanga, Mahadipur, Changrabandha, Fulbari, Rupaidiha, Kawrpuichhuah, Panitanki, Sutarkandi, Sunauli, Banbasa and Bhithamore -- and the passenger terminal at Petrapole, the statement said.